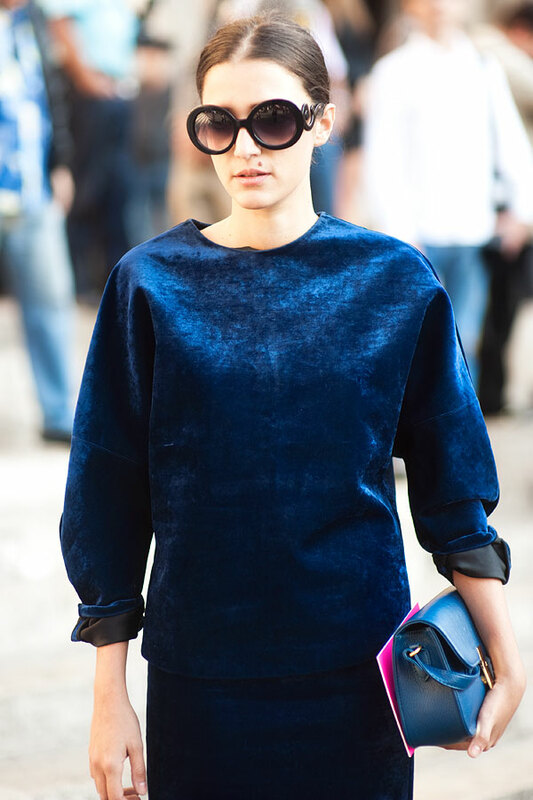 This Fall we all gonna say a BIG hello to velvet, as it's back in trend. Brands and fashion designers offering us pretty much of everything, starting from jacquard blazers to pantsuits, dresses and coats. 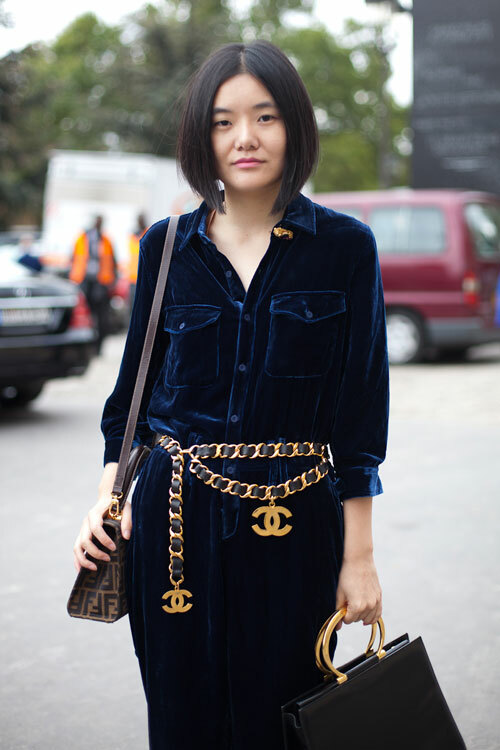 The head to toe velvet look is a perfect choice this Autumn. So, this magic trend hits back the streets and you can not hide from it, so you better get used to it, my dear fashionista! Jacquard purple blazer with statement buttons looks impressive! Looking through these images, it smells 1970's to me. It looks both vintage and sophisticated. There is kind of scent of a very old story about young woman who loves fashion so much. Personally, I consider this fabric to be high-qualitative. This fall many designers and stylists advice us to wear this fabric in deep colors, like black, blue, red, and green. 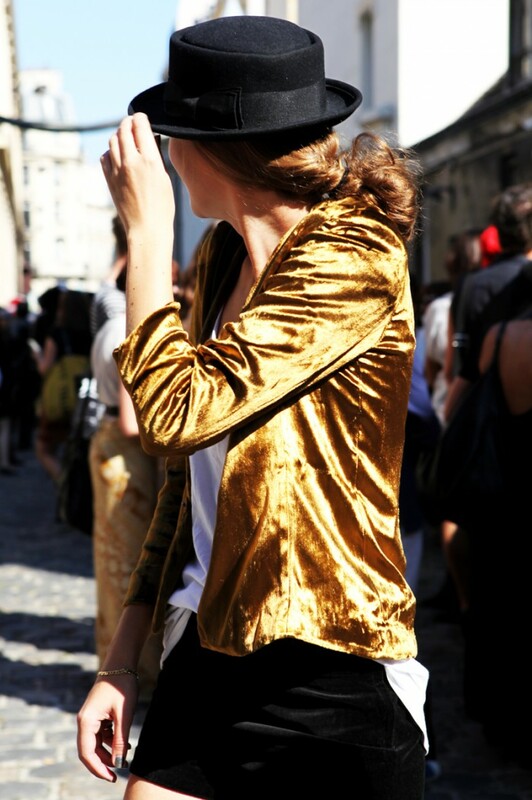 I love to see ladies appearing in the streets wearing velvet blazers in bright and bold colors. This vintage elegance also associates with vampire's refined look. It's polished, decadent inspired and so must-have. I am so in love with red/black velvet pantsuit styled with crispy-white shirt amd stiletto heels. Some ladies go bold and try on dramatic long velvet trench-coats what look a bit avant-garde inspired to me. 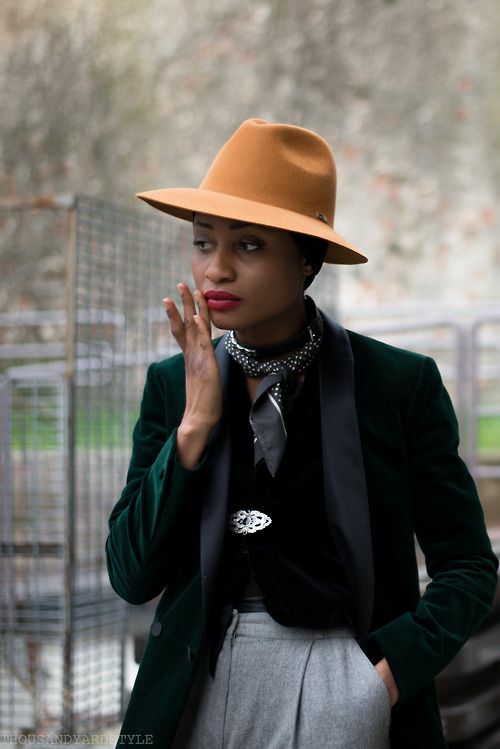 Anyway, thanks God I have found these incredible images of ladies street styles where they appear in velvet creations. They look pretty cool, right?